I was a leader on a watersports Pathfinder camp in Porthpean and then Christchurch in the late 90s. I loved it even though I had no aptitude for water sports. 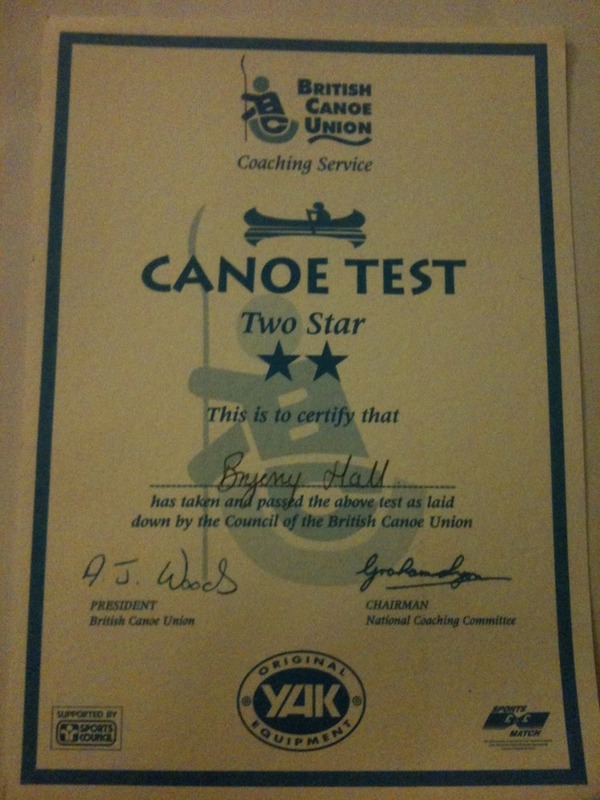 This is my highest sporting achievement – 2 star level in Canadian canoeing!